Face to face with the Ravens Beard and a tidy well kept beard to boot. 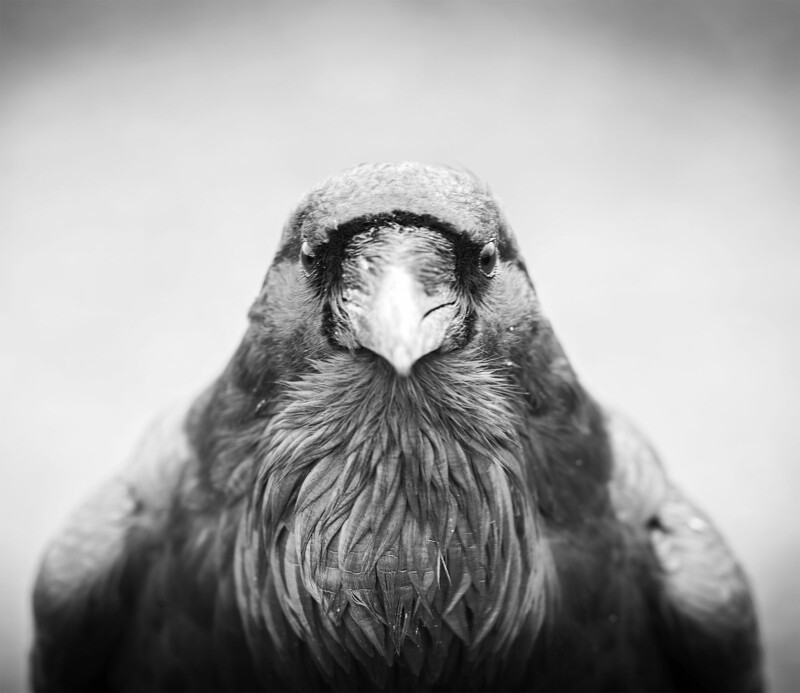 Beautiful portrait of a mighty stately bird! We do love our local ravens. So much character and smarts. Wow! This is truly amazing. should come up with a humorous caption to go with it. I’ve seen this angle a few time lately the last time the raven was on the car hood looking in as I ate my sandwich. That is exactly what he was asking. We all have a relative like that don’t we?